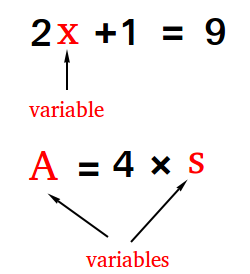 What does variable mean in algebra ? Definition and examples. To represent an unknown number that cannot vary. To represent an unknown number that can vary. For example, in y + 8 = 10 and ? - 2 = 4, y and ? are used to represent unknown numbers that do not vary. y is equal to 2 since 2 + 8 = 10 and y cannot vary. In other words, y can never be equal to anything else.
? is equal to 6 since 6 - 2 = 4 and ? cannot vary either. 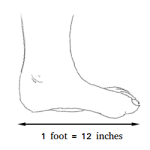 If s is the length of one side of the square, the perimeter varies as s varies.